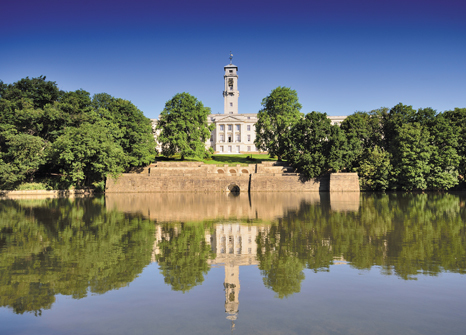 Applicants are invited to apply for a PhD scholarship in polymers at The University of Nottingham. Applications are invited up to January 31, 2019. Title: "Preparation and Use of Polymeric Surfactants in Additive Manufacture." In collaboration with Warwick and Birmingham Universities, as well as with the School of Pharmacy and Physics at Nottingham, the Centre for Additive Manufacturing (CfAM) http://www.nottingham.ac.uk/research/groups/cfam/index.aspx will continue a deeper exploration the area of multifunctional AM through the recently awarded Programme Grant, Enabling Next Generation Additive Manufacturing. The programme vision is to establish controlled next generation multifunctional AM and translate this to industry and researchers. Initially focussing on novel electronic and pharmaceutical/healthcare applications, the aim is to move beyond single material AM by exploiting the potential to deposit multiple materials contemporaneously for the delivery of spatially resolved function and structure in three dimensions. Recent research in Nottingham (UoN) has focused on the introduction of polymeric surfactants (surfmers) to produce step change performance in materials production and use. This project will build away from the work already conducted at UoN on successfully producing methacrylate:polyethylene oxide methacrylate comb-graft copolymers, which has resulted in the successfully commercialisation of a new medical device coating material. This study will produce a library of these surfactants with variations in molecular weight, monomer feed ratio and functionalisation, to develop an optimised methodology for the preparation of surfmers that can overcome the issues in certain AM processing environments. The key difference in project from the prior studies is that these surfmers will act as processing aids for the AM processes such as ink-jet printing. For example, they will produce interfaces that exhibit long term stability and the comb graft polymer structure can also be surface located to contribute positively to the surface focussed materials properties, such as biological response. Work Packages: 1) controlled synthesis/scale up polymeric Surfactant, 2) formulation development & evaluation to define structures/activity maps for the use of these structures in AM processing & 3) development of surfmers to produce AM processed devices.